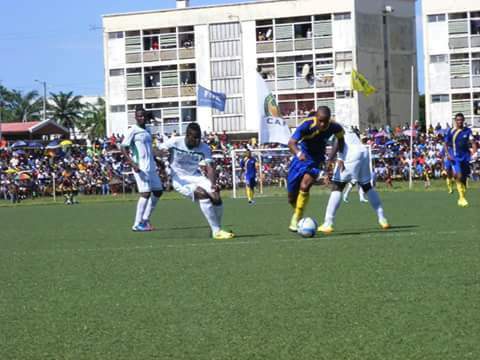 Gor Mahia vs CNaPS in Mahajanga. Gor Mahia were eliminated from the 2016 Africa Champions league when they lost 0-1 to CNaPS for a 3-1 aggregate score. CNaPS scored their goal in the first half through Njiva Rakotoharimalala , the man that this author identified as their most dangerous player3 weeks ago. “We were in the game on opening minutes but the moment they scored…that goal put us off the mark. We allowed them time to dominate and were eventually punished.” said coach Frank Nuttall after the game. For Gor Mahia, their goal drought continues. It is something the team will need to address as they resume their league campaign. Starting XI – 1. Fredrick Onyango -GK (Cpt), 15. Bernard Odhiambo, 3. Abouba Sibomana, 5. Musa Mohammed, 18. Harun Shakava, 20. Ernest Wendo, 17. Eric Ochieng, 2. Godfrey Walusimbi, 7. Ronald Omino, 25. George Odhiambo, 25. Enock Agwanda. Substitues – 23. Bonface Oluoch -GK, 14. Nizigiyimana Karim, 4. James Ogada, 10. Khalid Aucho, 27. Jacob Keli, 21. Eric ouma, 11. Amos Nondi. To be honest I think we all expected it…from the shoddy player registration,to the lacklustre pre season preparations,late return of key players for the season,to the 2-1 loss to Bandai and then cnaps in the 1st leg…the writing was on the wall. All is not lost though..let’s get our groove back and gun for a 4th successive league title!! I blame this on poor management, after winning the local league last year we knew we were going for this, what did we do? Nothing! So amateurish. Such a bunch of fickle supporters…this team has given us success year in year out.Just coz they have started off badly does it warrant that kind of talk? ?especially from you blackmarket? ? The team doesn’t deserve such fans…quit and start supporting the likes of ushuru and Sony. ..Gor is better off without such low life’s like you!!! I had bet sportpesa for kogallo to loose….at least i made some money this time round. I still dont understand why you field out of form blackberry and expect to score 3 goals. Wishful thinking and misguided expectations. What is our target as a club this year .? Like i said this is the week of kichapo…next is ulinzi followed by the in form mashemeji. I will still bet sportpesa for kogallo to loose. next week monday we will all be asking for technical bench to resign..7 games without a win and with only 2 goals!! @Dan Original the famous sycophant of AR has opened his big mouth to continue defending the useless and inept EC office. Continue defending the rot in this office and you too will go down with it. perpetual loosers…….stupid players wth no ambition bure kabisa…. . hw long does it take to get a victory. @Dan Original, it appears you have become the mouthpiece of AR and his inept office. I am just wondering for how long will you continue to defend the rot or are you part of this EC? Have you been hired by the EC or are you one of the beneficiaries of looters at the club? I am always fascinated by the fans here who keep playing apologists for the club’s administration. We can commend them for the little work they’ve done but to behave like a club formed in the 60s should be bound to particular characters is silly. course winning is another scale. Where is the “five-year plan?” Where is the scouting sophistication of Kenya’s biggest football club? It’s becoming like Arsenal. An all too predictable cycle every year. Despite all the winnings one doesn’t get the impression that the Club (as an institution) has moved forward. Cue apologists talking about a sponsorship that only goes to covering wages. you mouthy fans you can go to other clubs at a loan until next season. who asked you to support gor. if the road is rough jump out of bus and walk. stupit kabisa. give us a break. YES. TELL THEM TO	GIVE US A BREAK. WE	DONT NEED THEIR NEGATIVE TYPES!!! Ooh Laa la…..”To the ” DUALE’S” and “KINDIKI’S of this blog”…… POLENI SANA.!!! KWAINI K’OGALO NI YA MAMA YENU BWANA.? K’OGALO Si YA MAMA YENU BWANA..
We are in K’OGALO to support,critic,appraise,analyze and where possible determine both corrective and preventive measure depending on issue at stake. Give us a break if you can’t withstand the REALITY and let us blog objectively and not subjectively. Stop gagging very seasoned individuals of this site from posting their independent opinions with matters pertaining to GOR MAHIA. HAVE A BLESSED SUNDAY MY FELLOW BLOGGERS BE IT REALIST,OPTIMIST OR PESSIMIST. WE WILL TOUCH BASE NEXT WEEK ON MONDAY AND COMPARE NOTES AFTER FACING BOTH THE BRUTAL SOLDIER BOYS OF “THE LION” MATANO AND THE RESURRECTING AND MARAUDING LEOPARDS OF INGO. Let’s respect our players. If you criticize please do so objectively. @Dan Original, I think you should be the first fan to be exiled to either your village team or Mathare where I think you DNA is associated to with all due respect. A waste of space by a mediocre @dan original.for can’t excel with these brothers of rachier,kg and ongala. I think it’s time for the ec to pack and go. From what I read here most of us are just emotional. Emotions won’t get you far but reasoning will. If we win the next five games the emotions will change but reasoning will not. If we were reasoning we would have asked for an overhaul of the club’s constitution instead of going personal and calling others names. With a progressive constitution it would not matter who is in the EC but the rules of engagement would define everybody’s area of operation and accountability. On our performance we are experiencing a dip in form which all teams must experience at one point in the season. Luckily last year our dip in form did not have much effect on our results:- do we still remember how we struggled against Mathare and Nkr Allstars and our unbeaten run was threatened? We might not like the current EC but us we strive to make changes which are by the way inevitable let’s remember where we came from. Who was with us when we really needed them? With a sponsor on board we cannot run out of candidates for these positions but will the same be able to hold the positions if things turn out to be different? I will never support Ambrose or ngala throughout my life.it’s time guys to get new brooms. we played well we only need to improve then results will come but we cant win everyday and every year. One thing evident from all gor mahia games is that we lack a good centre forward. Jacob Keli is a flop …I have said this and I will continue saying. Agwanda is a heavy player who doesn’t have a knuck of goals. Four million man tuyisenge is out with an injury I don’t know till wen. Believe it or not we will struggle for goals till June when the transfer window opens. Paul Mwangi Kiongera is struggling in Simba and will not renew his contract with simba in June so David Kiilo should be wise and sign him . he is a proven goal poacher.we need such a player in Gor. Blackberry should be benched.He has become a squad player nowadays playing useless soccer. Eric Ouma is a young player with good abilities to fit in. innocent wafula can also play there. so Gor Mahia take note. Departure of Micahel Olunga, Meddie Kegere and Ali Abondo being felt. There is need to sign good strikers during the mid season transfer period.